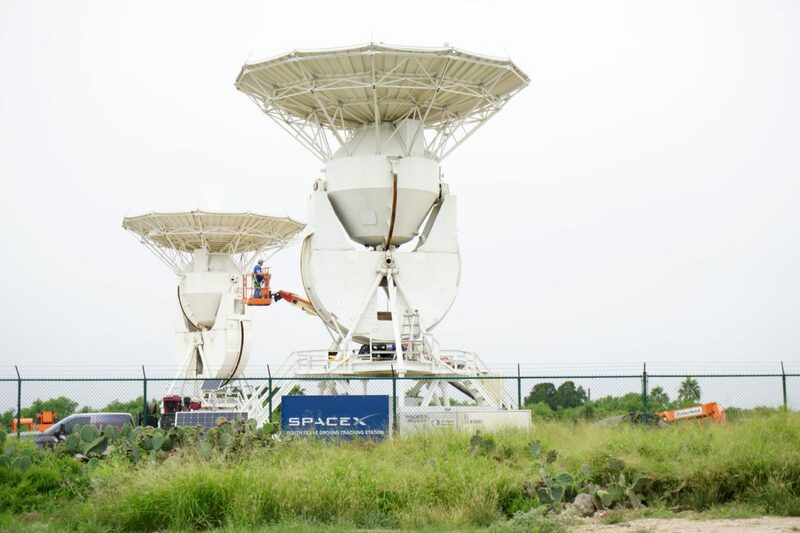 Construction continues on two satalites at the SpaceX Boca Chica Beach South Texas ground tracking station Wednesday. In late 2015 the trucks started rolling, dumping more than 300,000 cubic yards of locally sourced dirt at the future SpaceX launch pad site where S.H. 4 dead-ends at Boca Chica beach. 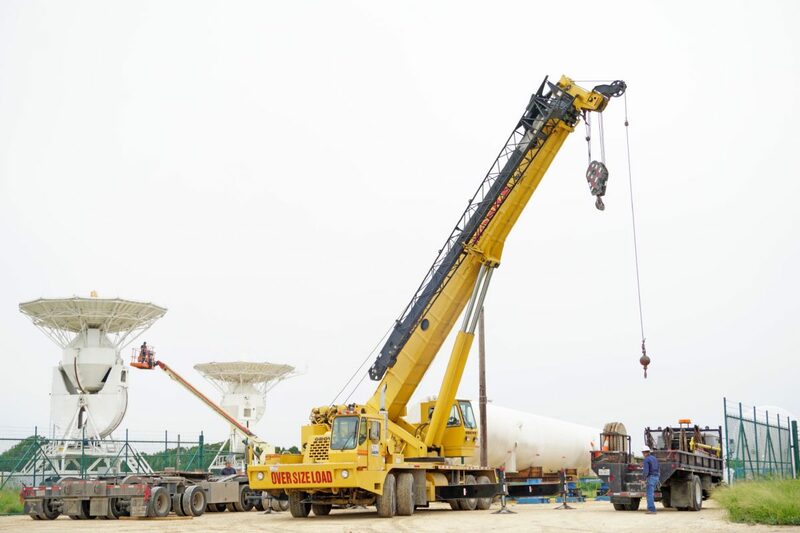 The technical term is “soil surcharging,” a process of compressing the underlying soil in order to stablize it — in this case to create a suitable foundation for launch-complex structures. 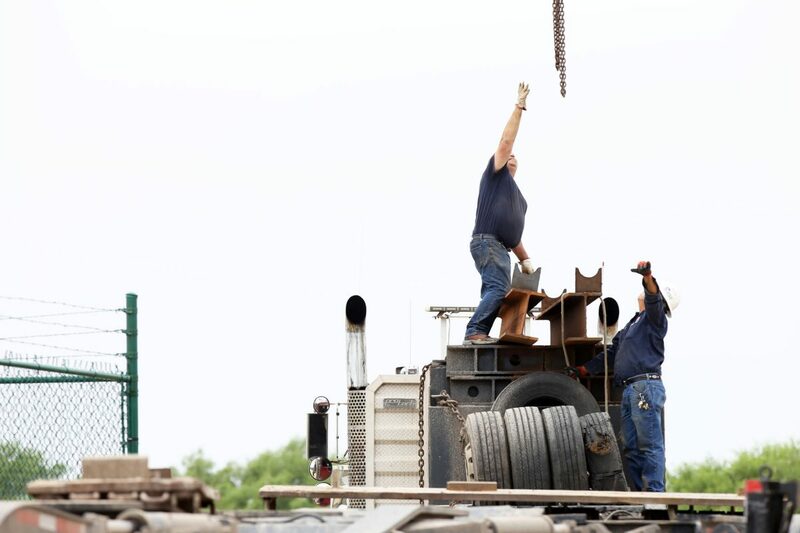 That process now complete, the artificial mesa is currently being leveled by earthmovers. Once that’s done, SpaceX will install a 95,000-gallon liquid oxygen tank and an 80,000-gallon methane tank that the company has taken delivery on in recent months. The tanks, stored for now at the SpaceX control center area a couple of miles west of the launch site, will be used to support propellant-loading operations during space vehicle tests beginning sometime in 2019. 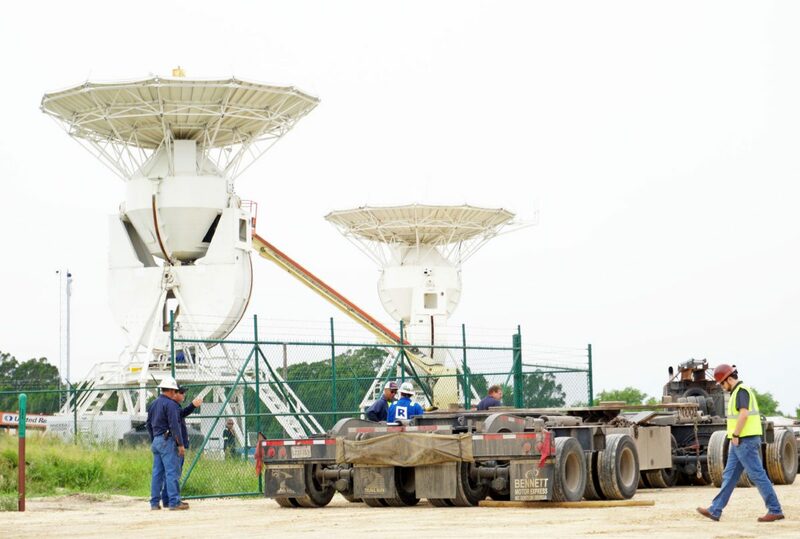 Construction continues at the SpaceX Boca Chica Beach South Texas ground tracking station Wednesday. 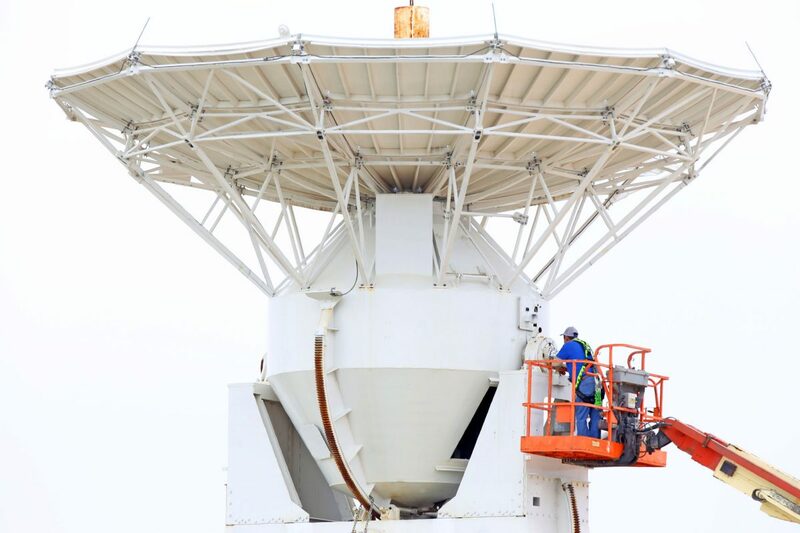 Construction continues on a satalite at the SpaceX Boca Chica Beach South Texas ground tracking station Wednesday. 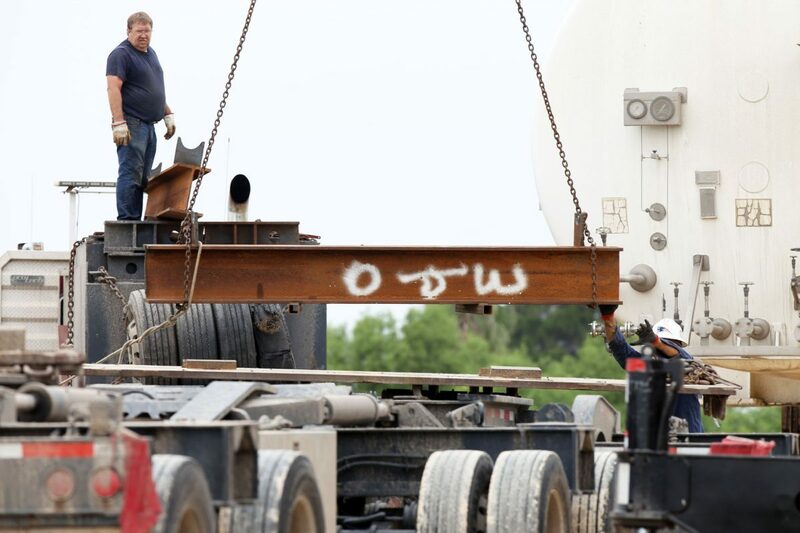 Construction continues as steel beams are prepared to be moved by a crane at the SpaceX Boca Chica Beach South Texas ground tracking station Wednesday. 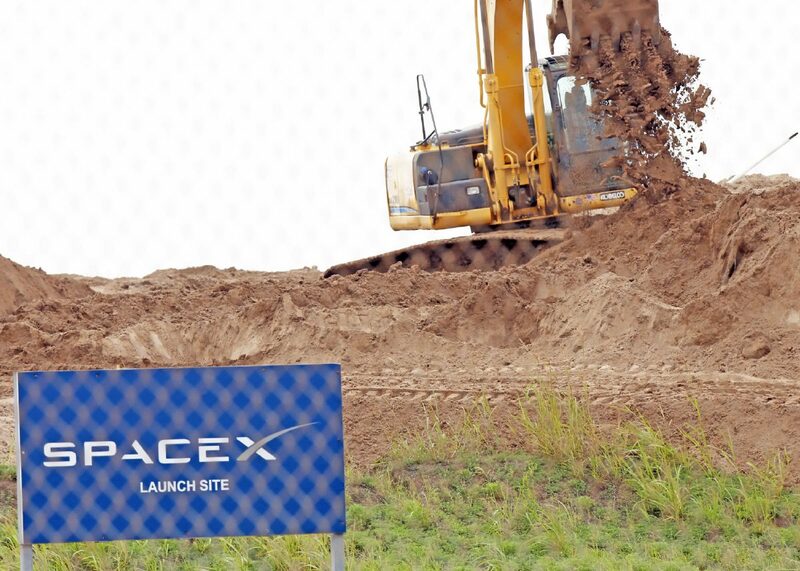 An excavator moves dirt around the SpaceX Boaca Chica launch site Wednesday early afternoon. BFR stands for Big Falcon Rocket, a fully reusable, two-stage vehicle consisting of a booster and a spaceship. “Hopper flights” refer to SpaceX’s Grasshopper program of low-altitude launch and landing tests of its Falcon 9 rocket at the company’s McGregor test facility. Musk had been banking on its biggest rocket, the Falcon Heavy, to get humans to Mars, though the focus has shifted to development of the larger, more powerful BFR for Mars flights — an ambitious goal Musk touched on at the Boca Chica groundbreaking ceremony in September 2014. “It could very well be that the first person that departs for another planet could depart from this location,” he said. Over the last two years SpaceX has installed two giant ground-station antennas it acquired from Cape Canaveral and more than 600 kilowatts of solar arrays to power them. 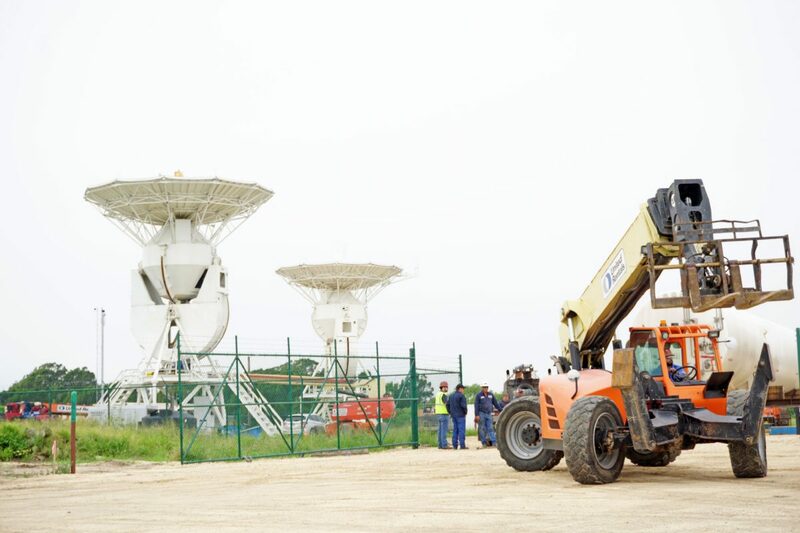 The antennas will be used to track manned Crew Dragon missions to and from the International Space Station as well as flights blasting off from Boca Chica. Musk estimated initially that the first Boca Chica launch could happen by late 2016. The need for soil surcharging created delays, however, then in September 2016 a Falcon 9 rocket exploded during a fueling test at Cape Canaveral, destroying the launch pad, which SpaceX had to rebuild. The company made its first launch from the rebuilt Launch Pad Complex 40 on Dec. 15, 2017, a resupply mission to the ISS using a Falcon 9 rocket and unmanned Dragon capsule. On Feb. 6, SpaceX conducted the maiden launch of the Falcon Heavy rocket from Launch Pad 39a at Cape Canaveral’s Kennedy Space Center. That’s the same pad from which Apollo 11 departed for the moon on July 16, 1969, four days before Neil Armstrong became the first human to walk on the lunar surface. Last August, SpaceX affixed a walkway to Launch Pad 39a that NASA astronauts will use to board the Crew Dragon capsule for missions to the ISS. NASA awarded SpaceX and Boeing contracts in 2014 to ferry its astronauts to and from the space station. Four astronauts have been chosen for SpaceX’s inaugural Crew Dragon mission, tentatively scheduled for April 2019. They will be the first humans sent into space from U.S. soil since the Space Shuttle program was discontinued in 2011. Propelling the first Crew Dragon mission into space will be the Falcon 9 rocket, 230 feet tall with a payload of 25 tons in Low Earth Orbit. The Falcon Heavy is the same height but much more powerful, with an LEO payload of 70 tons. At a press conference following February’s Falcon Heavy launch, Musk said the mission’s success convinced him of the feasibility of developing the BFR. The BFR would stand 387 feet tall, the spaceship portion 180 feet in length, with a payload of more than 110 tons. That’s the rocket SpaceX plans eventually to launch from Boca Chica, where hopper tests of the BFR spaceship are slated to begin next year. Gil Salinas, a member of the governor’s Aerospace and Aviation Advisory Committee and former executive with the Brownsville Economic Development Council who worked closely with SpaceX during negotiations to bring the company here, admitted his initial meeting with Musk in 2011 was mind-blowing — especially the part about Mars, which Musk says needs to be colonized in order to save humanity. “When he provided us his vision back in 2011 it was just so out there — where do we begin?” he said. Now, with SpaceX coming up on 70 launches completed and 35 more planned, every eye in the aerospace sector is on what the company is doing in Cameron County, Salinas said. “You can see they are on a path to change the world, and a lot of it is going to be done from here,” Salinas said.